I've got a cocktail for you today that tastes like autumn sunshine! 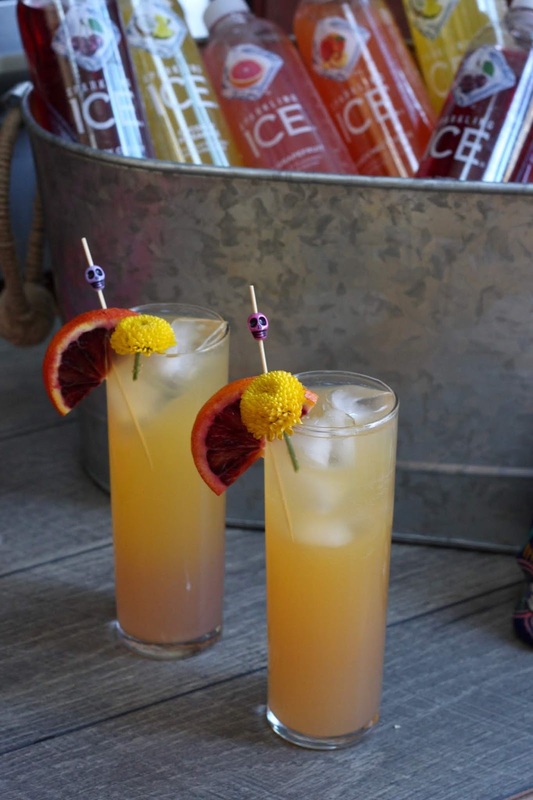 I was inspired by Halloween and Day of the Dead coming up to make this citrusy tequila drink with a spicy kick. It gets its gorgeous color and fizz from Orange Mango Sparkling Ice, a zero-calorie, zero-sugar sparkling water. Obviously, though, I usually like to go a bit crazier than that when it comes to my cocktails. 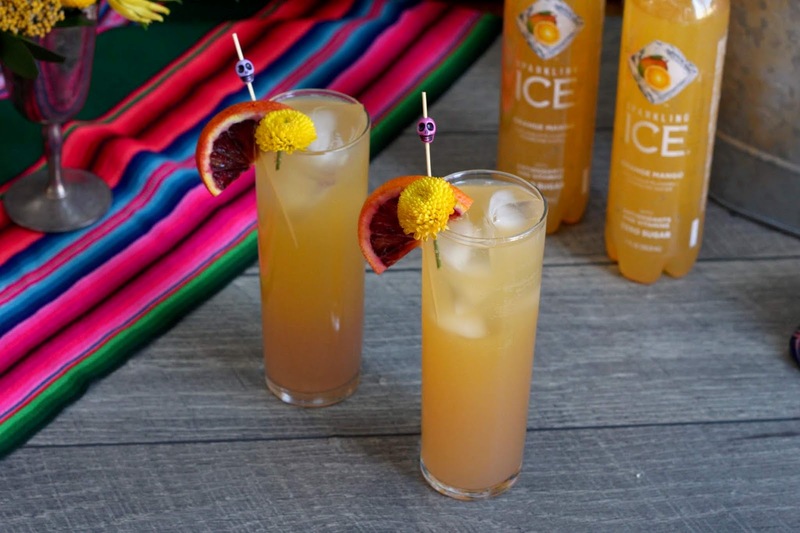 With Day of the Dead next week, a tequila cocktail seemed like the perfect pairing for Orange Mango Sparkling Ice. And my favorite thing to do with a tequila cocktail is add a bit of spice. So I infused some reposado tequila with jalapeño overnight before mixing it with pineapple juice, lime juice, and a blood orange syrup (because if winter has to come, then we'd better at least take advantage of some beautiful winter citrus). 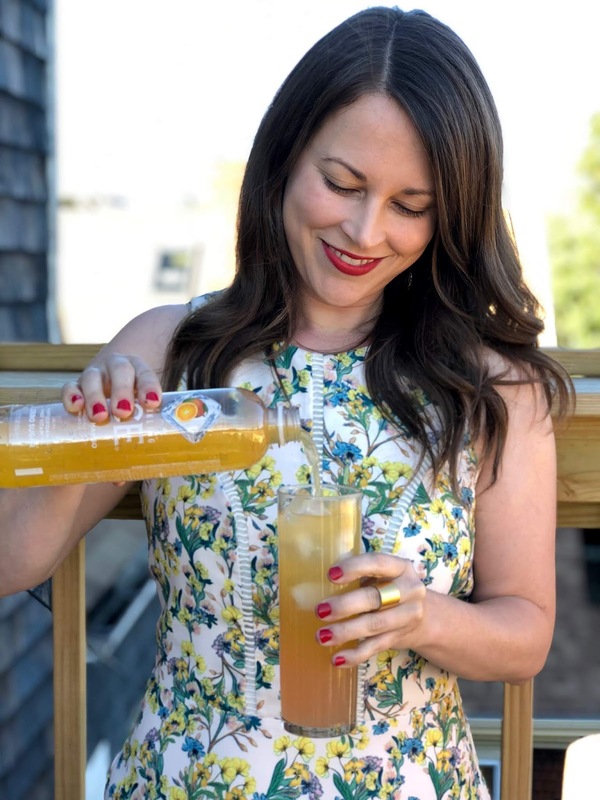 Topped off with Orange Mango Sparkling Ice, it's a super refreshing cocktail with just a bit of bite! 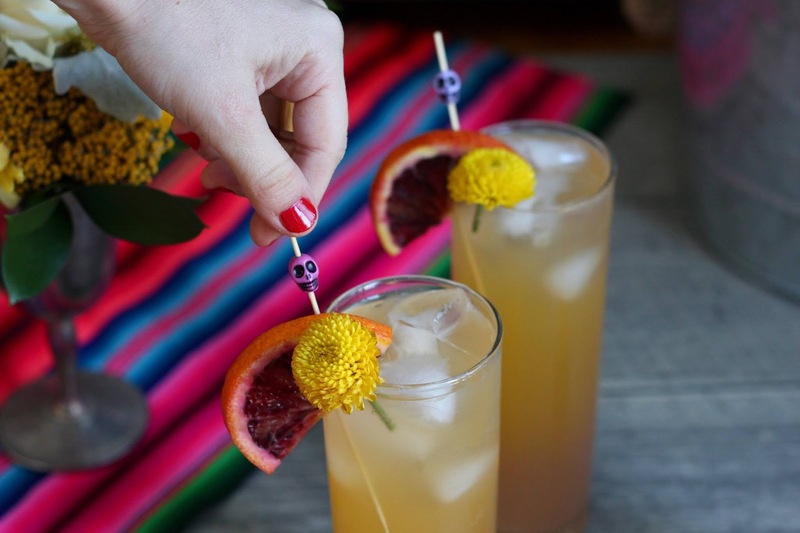 I named this drink the Aztec Marigold for its bright, sunny color. These marigolds are also called Mexican Marigolds or flores de muertos ("flowers of the dead"). They're often used during Day of the Dead celebrations to decorate graves and attract or guide the souls of the dead. Lacking any marigolds, I garnished the drink with yellow chrysanthemums and slices of blood orange. Combine tequila, pineapple juice, lime juice, and syrup in a shaker with ice and shake until chilled. Strain into a tall rocks glass filled with ice. 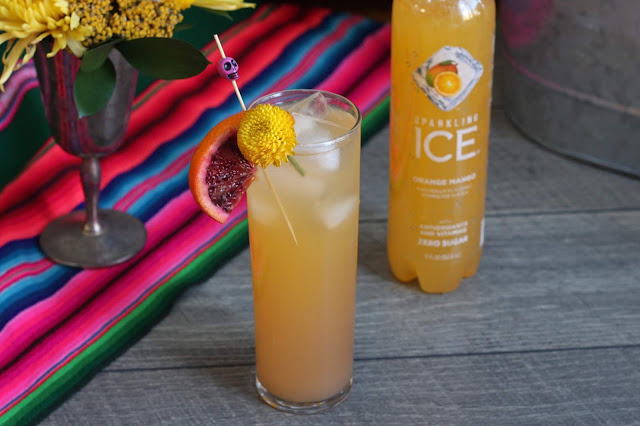 Top with Orange Mango Sparkling Ice and enjoy! *For jalapeño-infused tequila, cut a fresh jalapeño in half lengthwise and remove the seeds. Slice it thinly and add it to a mason jar with 1 cup reposado tequila. Let sit overnight, shaking occasionally. Strain out the jalapeño slices before using. **For blood orange syrup, combine 3/4 cup sugar and 3/4 cup water in a saucepan and bring to a simmer, stirring until sugar is dissolved. Add one blood orange, sliced and then cut into quarters, leaving the skin on. Let simmer for a couple of minutes, smashing the orange pieces with a spoon to release the juice. Remove from the heat and let sit, covered, for 30 minutes. Strain out the orange slices and let cool completely before using. Store in the refrigerator. This post was sponsored by Sparkling Ice. All opinions are my own.